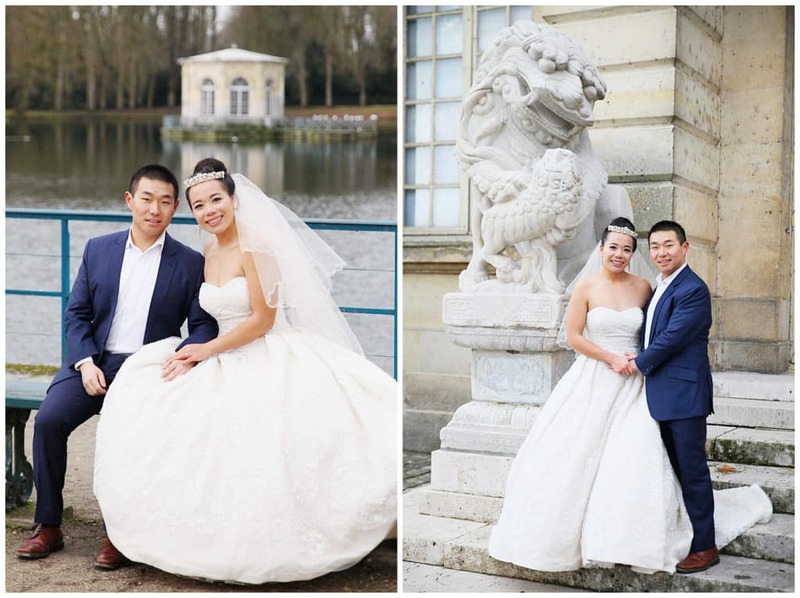 A Winter Sunday morning in Fontainebleau, Pingting and Jingwei bravely faced the cold to meet me at the Chateau for their pre-wedding photo session. 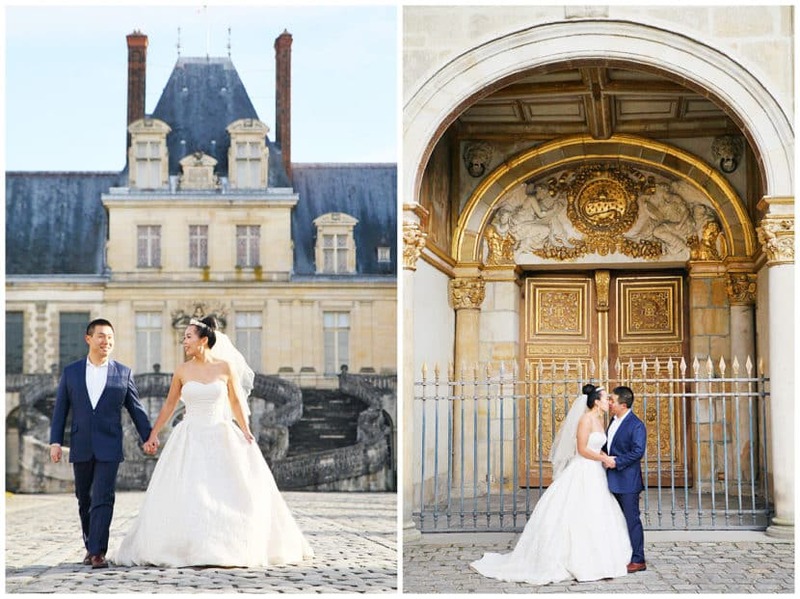 The young couple was about to tie the knot and since Jingwei was studying in Paris, they chose to do their wedding photos at one of France’s most beautiful castles. 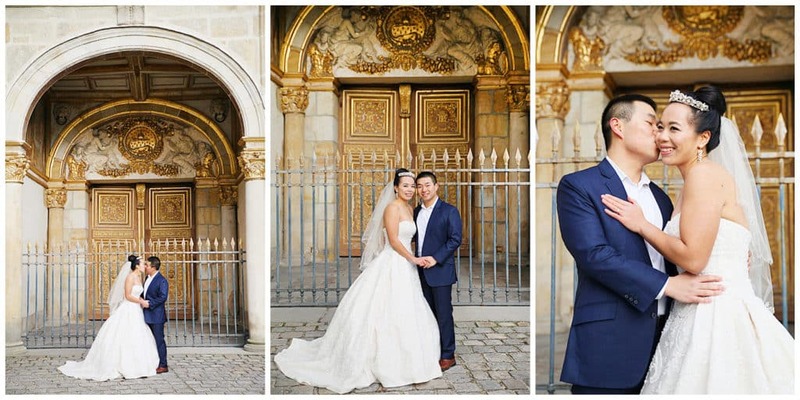 The place was pretty quiet, so we enjoyed doing some wide shots to begin with. 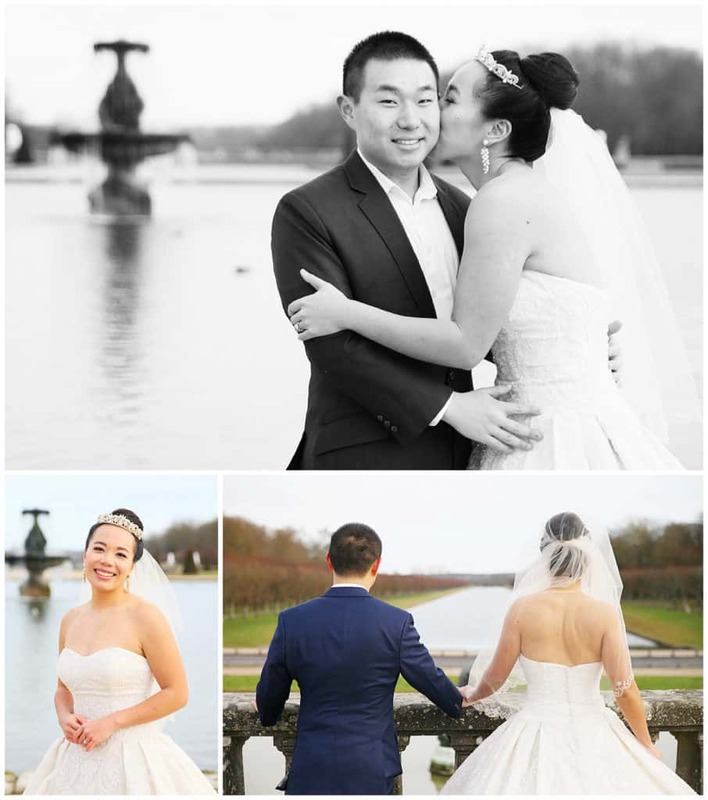 We then stopped by the lake where swans came to say hi to the bride and groom. 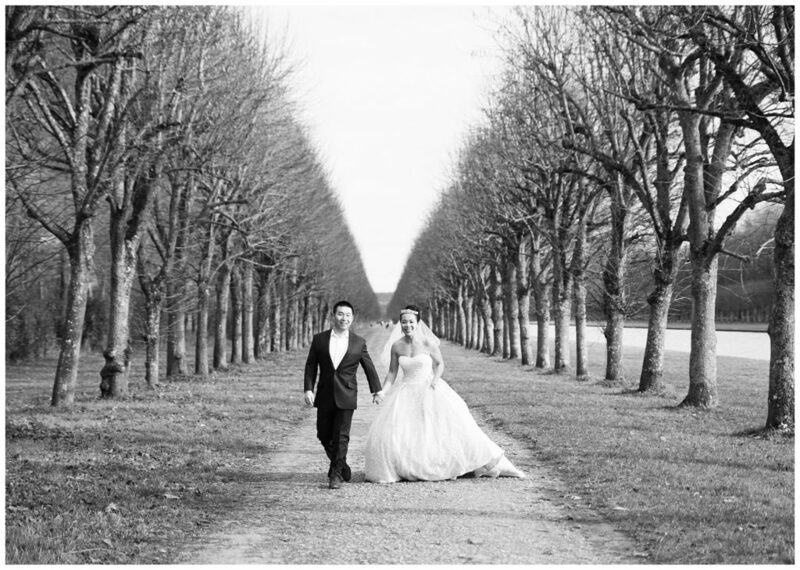 The two enjoy running together (fun fact: Pingting was actually wearing sneakers underneath her dress!) so we did this shot as a nod! 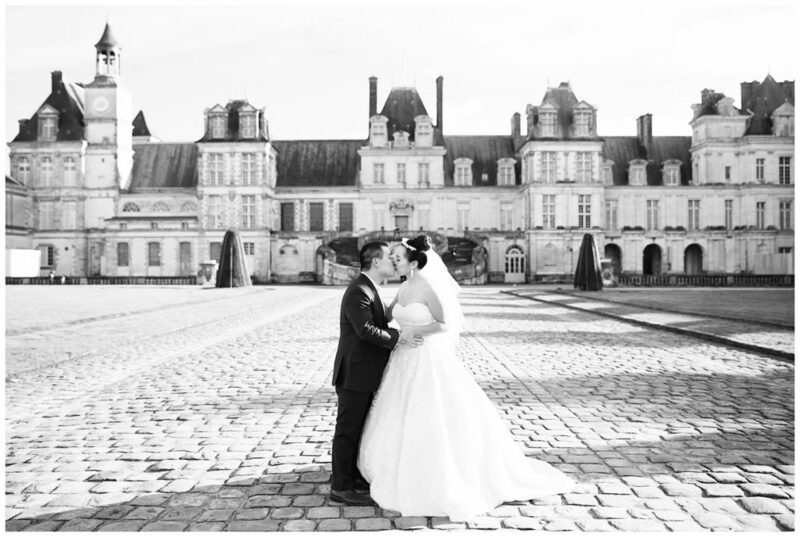 It was very cold that day but I enjoyed shooting these pre wedding portraits at Chateau de Fontainebleau a lot. 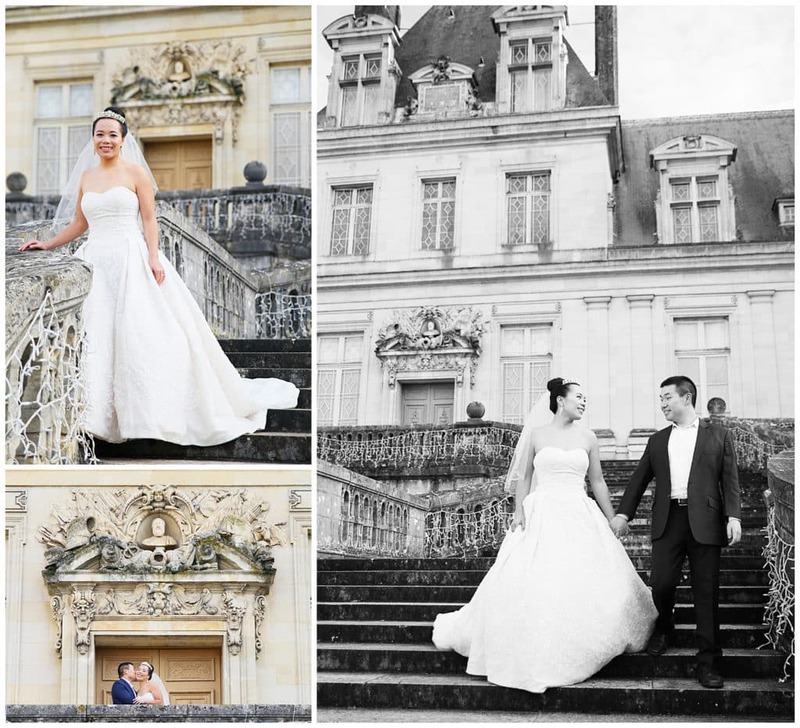 It’s much more relaxed than Versailles and yet, it’s as beautiful.